Pictures of Wedding Ceremony decorations. We set up this ceremony under the tree, facing toward the Barn. We used our vintage doors with greenery and florals that were repurposed inside the Barn later. 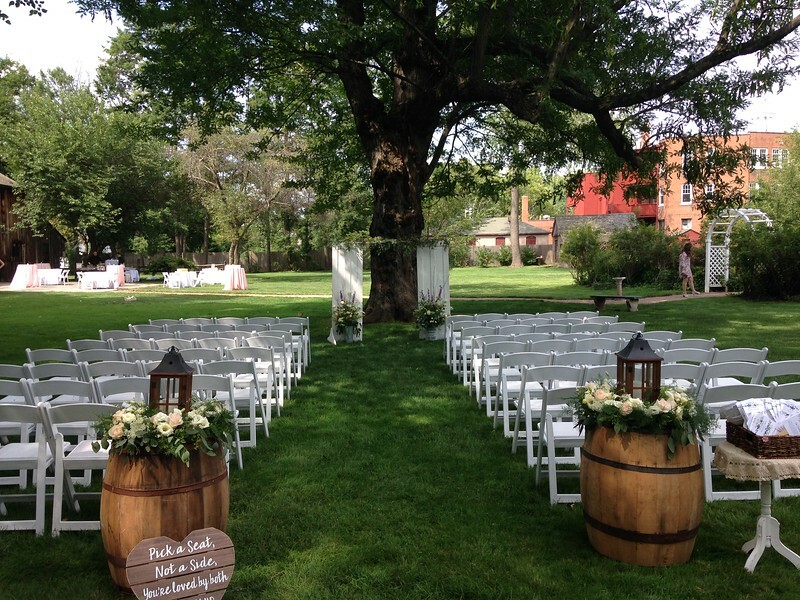 The barrels with lanterns and florals were moved on each side of the Barn doors.